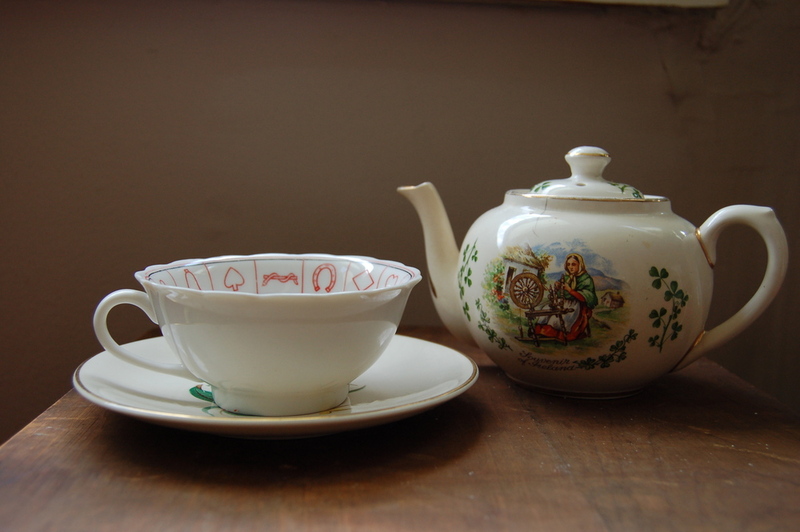 Taking time for tea is an important daily ritual at the Apothecary. Learning to make loose leaf tea is a magickal process requiring us to slow down and invite time in as a friend to share a cuppa. For most loose leaf teas the measurement is one teaspoon to one cup of water. In later posts we’ll discuss medicinal dosages, but for daily teas a teaspoon per cup should do. Let the tea steep in the pot for at least 15 to 20 minutes if it is an herbal tea. For most black, green, and white teas you only want to steep them for 3-5 minutes, otherwise they will get bitter. Enjoy your tea with company, alone or somewhere between. The joy of tea comes not only from its taste and the ways it supports our beautiful bodies, spirits, and minds, but also from its scent, color, and warmth. Learn to experience tea just as you would a good book, conversation, compelling dream or vision – it honors the spirit of the tea you are drinking and enlivens your spirit, too.